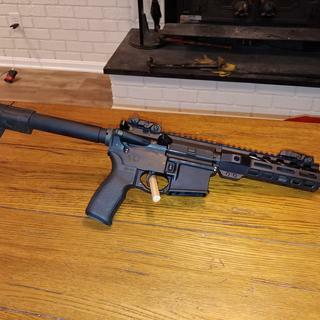 Barrel: Chambered in 300AAC Blackout with a 1:8 twist rate, M4 barrel extension, and a pistol gas system this barrel features a phosphate finish for accuracy and durability. 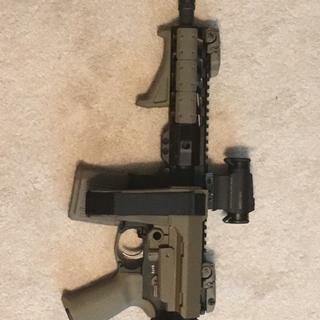 It is finished off with a PSA 7" Lightweight M-Lok rail, .750" diameter low profile gas block, and an A2 flash hider. Bolt: Bolt is made of Mil-spec shot-peened Carpenter 158 steel. Gas key is secured with grade 8 fasteners and staked per mil-spec. Bolt carrier is parkerized outside, and chrome lined inside. Each upper is assembled to order with care, and test fired. Is the barrel metal 4150 cmv? Anyone actually run this upper with live ammo ? Buffer and buffer spring are “carbine” and wondering if upper is still overgassed with “carbine” and pistol gas system. Yes... I've put over 400 rounds through mine. Ran fine with several different weight rounds. All supersonic. Haven't gone subsonic yet. Have run supersonic and subsonic with no problems. Can you use the same mags as for the 5.56 ? 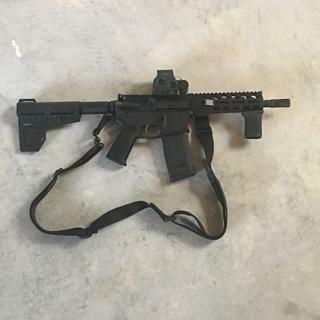 What is the weight of this upper? 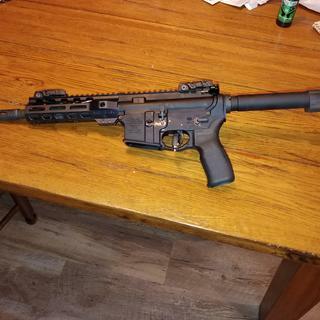 Can this upper use a suppressor? BEST ANSWER: Of course. Take off the flash hider and attach your supervisor of choice. Is the gas block pinned or set screws? BEST ANSWER: No problem accessing the muzzle device. 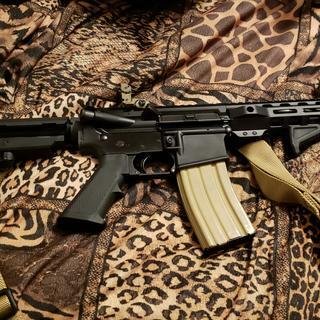 Do not have to remove the handguard. Just received mine Quality and finish is great. Took it to the range only fired about 30 rounds at 25 yards to set my red dot sight. Shooting 3 round groups each group was under an inch. No failures. I'm impressed with this heavy bbl upper. Very solid and have no issues yet. Great quality and an excellent value. Upper has very nice fit and finish. BCG is mil-spec quality, nothing fancy but not bad either. Very good, and very budget friendly. Overall impressions very good. Fit very nicely with all components, very light weight. Shipped very fast, arrived in 3 days. With all that is included, you can not go wrong. Shots great looks better. SKU 5165449132 (was ordered, shipped and received even though it is not listed on my purchase history with PSA. Can you PSA folks fix that?) My only problem with this upper is with the BCG. The mating surfaces between the bolt and the carrier are so rough that even though I have fired almost 100 rounds through it and have heavily lubed it with new LSA weapons oil, it remains extremely difficult to pull the charging handle back to unlock the bolt in the bolt carrier from the barrel extension. There is so much resistance that I am surprised the upper functions at all. I have another PSA 300 AAC with a Nitrite finished BCG in 16" that manually cycles almost "as smooth as glass". Disappointed with this one though. Built this onto an Anderson lower w/ kak brace. Took it to the range yesterday, and had so much fun! A gun this size is a true joy to shoot. Zero malfuntions over about 150 rds of 120gr and 150 supers, and 220gr subs. Just an unbelievable deal for the price. Recoil for all loadings was surprisingly light, not far off from a 16" 5.56. Accuracy was very good as well, I will be taking it out to 100yds soon and do not expect any issues for man-sized targets. Didn't shoot from a bench or anything, but once it was sighted in I couldn't miss. 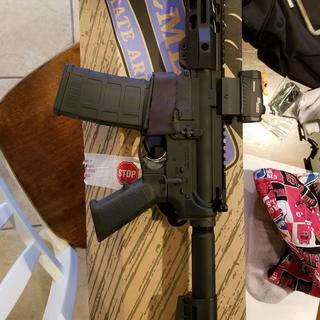 The handguard is pretty darn close to the gas block, and I had to grind down one of my m-lok screws to prevent it from contacting the gas block. Not a problem at all for me, and there is more than enough room for the t-nut to operate. 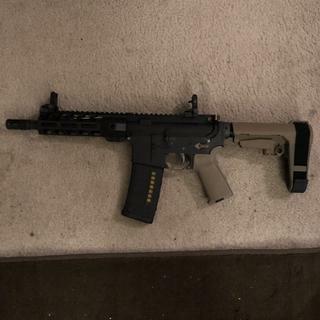 There were 2 fit & finish issues with my upper. The crush washer was a little lopsideded, and the handguard was very slightly out of perfect alignment with the upper. A couple minutes with my torque wrench and everything was perfect. Normally I would take a star off for this, but if I was uncomfortable making these adjustments I would have sent it back to PSA's excellent customer service department without hesitation or worry. The 8.5" size is just so sweet. Closer to a standard handgun for indoors maneuverability than a 16" ar. Gonna have to build one in 5.56 now! 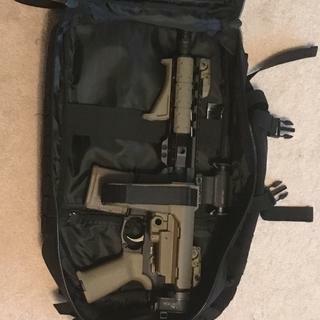 I haven't taken it out to the range yet but I did strip it down and inspect. 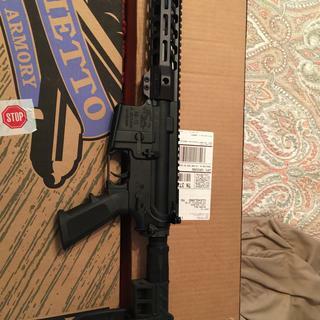 Super happy with this upper as always from Palmetto! Had to send back will not shoot waiting on a new one. Very impressive. 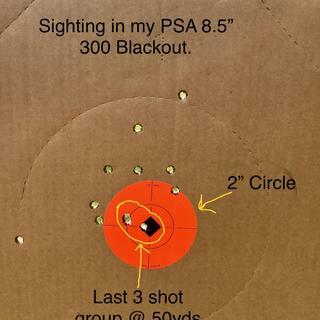 Shoots 220 grain noslers in tight group at 100 yards. Good upper for the money. The upper worked great. 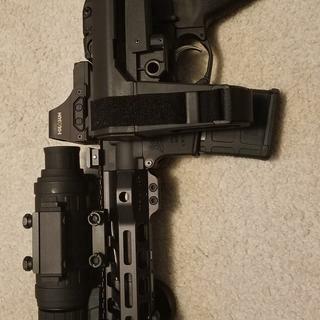 Fits well on milspec lowers. Put about 50 rounds through it and noticed some wear to the bolt carrier group and to the charging handle. Hopefully that doesn't continue or effect the function. 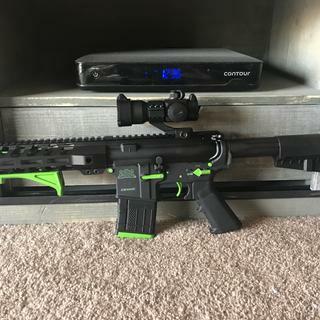 Mounted to my pistol lower perfectly. Accuracy was good though I’ve only shoot low cost FMJ stuff through it. Very impressed for the price. Love this little thing. 300AAC was designed for 9" barrel rom the start. 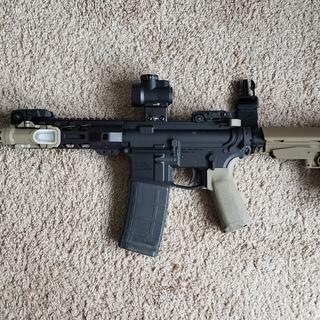 Ideal for pistol build. Runs flawlessly and works as intended. 10/10 highly recommend to anyone building a. 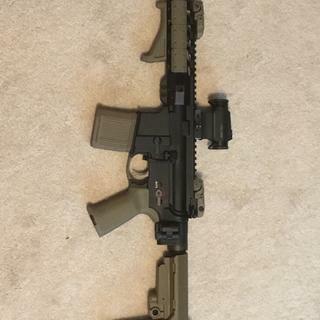 300 aac pistol. I recieved it quick. Absolutely love it! I'm about 100 rounds down range and had 0 ftf Or Fte. I wish I would have bought it a long time ago. 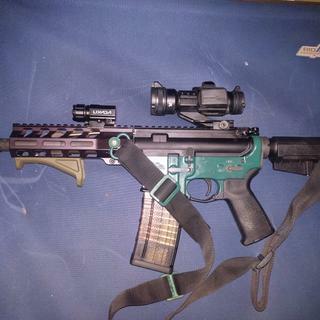 Perfect for cqb and house clearing. Great upper. The description said it came with t-marks but it did not. Still a pretty good deal. The upper seems of good quality as usual but the qd points will not work from my experience. 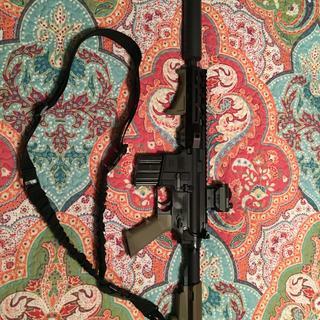 My Magpul ms4 qd swivel pops right out. Second build, excellent product. Highly recommend. 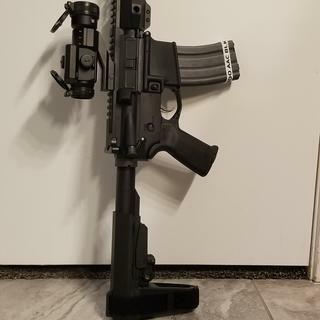 Perfect fit on my Saint AR pistol. 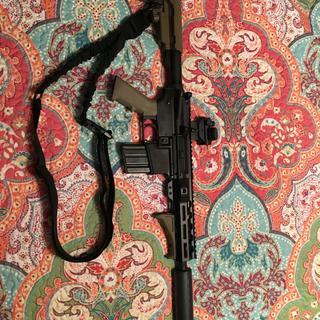 I really like this upper. Works great. Hogs beware. 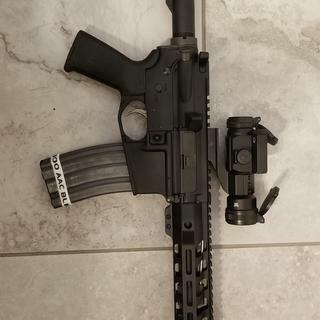 Put the upper on a PSA lower. The fit was tight and have fired 500 rds with no problems. Rear pin doesn't fit and hole is egg-shaped. I should've listened. PSA is garbage. I'll never order anything here again, for sure. 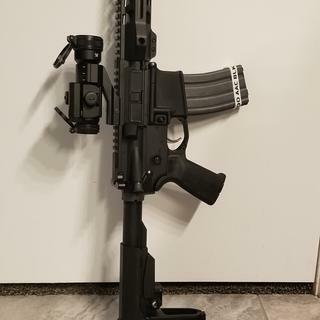 No issues with this upper for my PSA pistol build. So far so good with no issues. 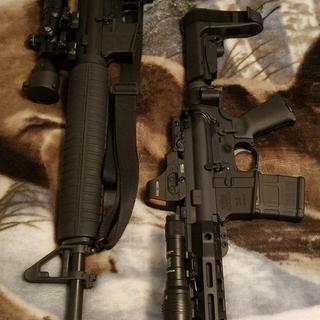 Received the lower and upper from Palmetto 1 day apart from each other barely a week after I placed my order. 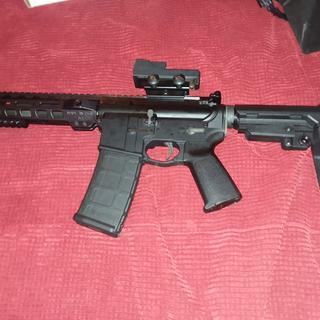 Looks great can't wait to take it out and put some rounds down range. Very nice. Been waiting months for these to come in stock. Finally did and were gone within a week. Shipped within 4 days. 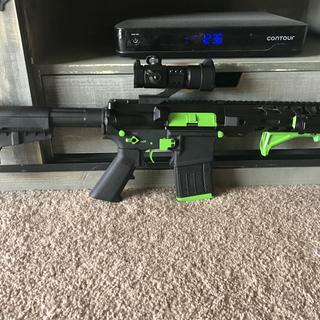 Perfect to finish my pistol build.